Tajik President Emomali Rahmon yesterday afternoon received Mr. Pietro Salini, Chief Executive Officer (CEO) of Salini Impregilo, which is constructing the Roghun hydroelectric power plant (HPP) in Tajikistan. After a meeting with the Tajik head of state, Mr. Pietro Salini told reporters that he promised Emomali Rahmon to introduce the first unit of the Roghun HPP into operation on November 16, 2018. November 16 is marked in Tajikistan as President's Day. 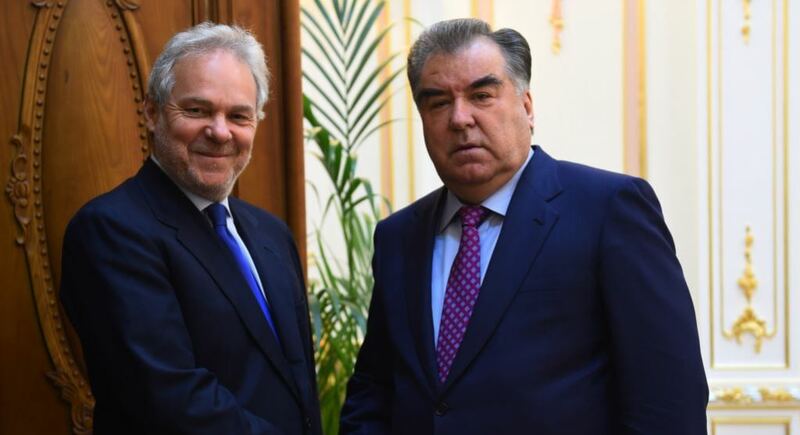 According to the Tajik president’s official website, Rahmon and Salini discussed cooperation between Tajikistan and the Italian company in constructing and rehabilitating hydropower facilities in Tajikistan. The two sides reportedly exchanged views on the pace and the quality of works at the construction site of the Roghun HPP. They also discussed issues related to mutual commitments on construction of the Roghun dam and involvement of Salini Impregilo in implementation of various investment projects in Tajikistan, the website said. Recall, construction duties on Roghun were assigned to Italian company Salini Impregilo in 2016. It is estimated that the project will cost $3.9 billion to complete. Mr. Pietro Salini (born March 29, 1959 in Rome, Italy) is an Italian businessman and Chief Executive Officer of Salini Impregilo and Salini Costruttori SpA. On May 31, 2013 he was honored with the title of “Cavaliere del Lavoro” (Knight of Labor, for his service to industry), and on December 11, 2013 he won the Tiepolo Award in Madrid for the deal that resulted in the takeover of Impregilo.